I previously wrote about how to get private students and how to teach private classes. I also wrote about the dangers of competing with other teachers on price. So how exactly do you decide how much to charge students? Here are some things to consider. Level: Very high levels and very low levels of English often require a lot of prep and many teachers charge more because of this. Student Age: Again, the money is in the opposite extreme. 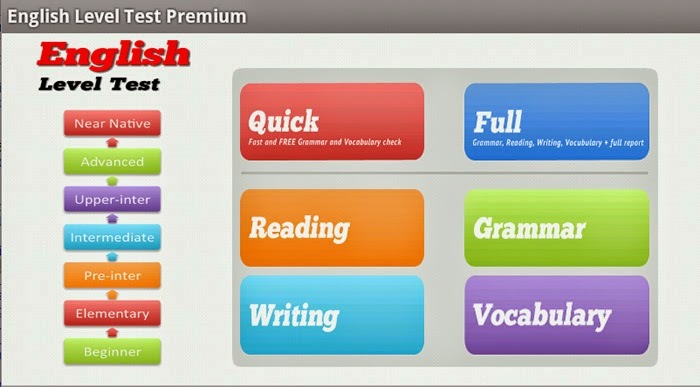 Very young kids and business people often pay more for private English classes. Type of class: If it's general English you're going to be charging less than teachers who do exam prep or EAP for example. How often you meet per week: Some teachers give students discounts for multiple classes per week. How long the classes are: A teacher may charge 50 for an hour class and 90 for a two hour class. Commuting time: I'm against charging more for students who live further away. You wouldn't ask your boss to pay you more because you have to travel further than your co-worker. If you don't want to travel too far simply don't accept the student. If you're interested in earning more money by tutoring, here's a guide that will help you set up your tutoring business. Once you've got your CV and cover letter ready, it's time to shoot off an email, cross your fingers, and hope you get an interview. There are things you can do to better your chances to get an interview. Try these the next time you apply for jobs. Reddit also has some more tips. There's nothing like having to attach 10+ docs to an email. It's not fun for you or the person getting the email. They have to download everything and it's easy to lose docs. Create one PDF and attach that to your email. Your cover letter, CV, and anything else they ask for should be in it. If you have a Mac it's pretty easy to do through Preview. If you have a PC you'll have to either buy software that allows you to create PDFs or try any one of the numerous websites out there that will do it for you. It looks much more professional to have a PDF doc and you don't have to worry about the other person not being able to open it or the formatting getting messed up. I always, always list out exactly what docs are in the PDF that I attach. Having a list makes it easy for the person reading the email to make sure that you sent everything they asked for. Read the advert carefully. Many places won't accept files bigger than a certain size. Stay within that limit. Again, read the advert carefully. Many times they will tell you to email one person if you have questions and email another if you want to apply. Don't email your app to the person you're supposed to email if you only have questions. Watch the deadline. Make sure to include all the docs. Be sure you fulfill the reqs, or almost fulfill them. Not following directions is a good way for your app to be deleted. I always write my name, how many years of experience I have (either total or at that particular level, depending on the advert), my qualifications, and my visa status. 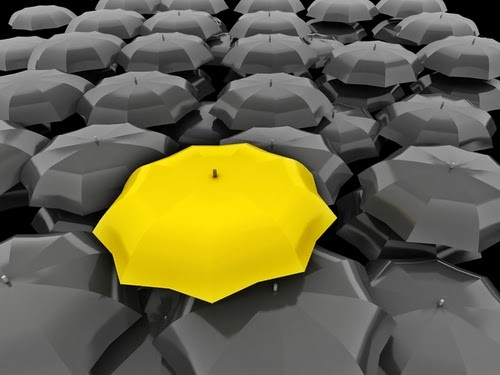 It helps your email stand out and makes it easier to find if they need to. Forget sir or madam or hiring committee. Find out who's hiring. Only use a generic greeting if the school you're applying to refuses to tell you who's in charge of hiring, which is always a possibility. If you're not job searching you should still be networking. 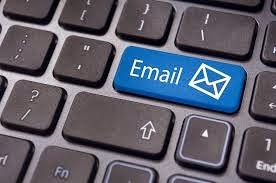 Check out how to write a networking email that gets results for more info. Many teachers look into teaching English online as a way to supplement their teaching salaries. I put together a comprehensive list of schools that need online English teachers as well as which ones I think are the best to work for. First you'll have to decide whether to work for a company or teach on your own. There are many advantages to teaching English online. The list below has been adapted from Dave's. You get paid the same no matter where you live. Many classes are 1-to-1 so you can customise your classes and get to know your students. You can work with students from all over the world. It's convenient. You don't have to commute and can work from anywhere. The future of learning is online. If your visa won't allow you to work at another school, this is kind of a grey area to do so legally. 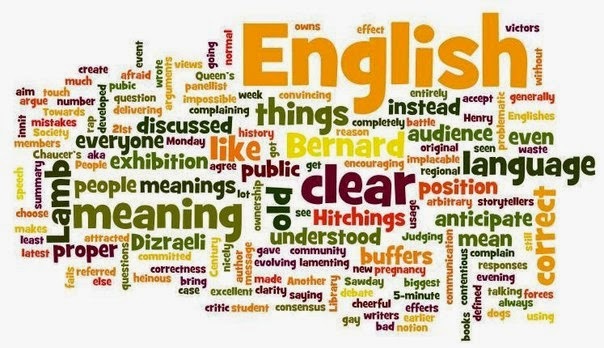 If it sounds like something you're interested, you should read how to teach English online. The following post is from a guest blogger, DS Peters. As we are now well into the 21st century, ideas of isolationism are as outdated as the rotary phone. Although xenophobia still clings to society like a rotting corpse, our success and happiness (and in some ways our very existence) now depend on pluralism and exposure to the life and ideas from faraway places. Not that there are any “faraway” places anymore, thanks to our planetary communications system (i.e. the Internet). The world is right there waiting for you to become acquainted with it. And since the economies of the world have become irrevocably intertwined, it is in the best interests of everyone to experience firsthand some of the societies coexisting outside our own national boundaries. First, let us explore, explain, and cast out the negative aspects of this endeavor. Fear is a very large obstacle for many, however fear can be minimized with knowledge and by taking a few important steps. Social networking is perhaps the greatest resource for the traveler, as other expats and travelers create websites and Facebook pages dedicated to assisting each other. Open your web browser and search for nearly any city you are considering along with the word “expat” and you will find a few pages to connect you with people who are already living in that city. You will not be alone in your travels, unless you purposely try to be. The other negative is, of course, culture shock. Culture shock is becoming a more ambiguous phrase with every international experience we read and write. We can find lists of symptoms of culture shock, and some of the items on these lists are absurd. For example, feeling sad, lonely, shy, insecure, vulnerable, lost, and/or confused are all listed as symptoms. Of course a person living in a culture quite different to the one they grew up in would feel these things, however I experienced all of these feelings when I moved from the Midwest to New York City for grad school. So these are not symptoms of culture shock as much as they are simply the feelings we might experience in moving to any new place. The so-called physical symptoms of culture shock also exist in a grey area, and if a person is experiencing headaches, allergies, insomnia (or its opposite), then that person should visit a doctor since all of these could be caused by a change in diet or factors in their physical environment. However, idealizing ones own culture, or becoming obsessed with the host-culture, or feeling homesickness, or questioning their decision to move in the first place… All of these are truly issues that most expats or travelers experience. Again, obtaining as much prior knowledge as possible can help lessen these feelings, although most of these feelings are rather natural. Of course we are going to compare our birth-culture to our new host-culture, just as some will attempt to adapt to and fit-in and might become completely obsessed with their new society. And feeling homesickness and wondering what insanity made us move in the first place also are natural. However, the idea is to be as objective as possible in our comparisons, and in the things we miss. And like most things dealing with emotions and the human mind, there are useful tricks we can employ to help us. Before you leave your home on your adventure, make 3 lists. On the first list, write down all the reasons why you are going in the first place. On the second list, relate everything you wish to accomplish while you are abroad. And on the third list, take your time and honestly write all the things you dislike about your home-country. Before leaving the US 4 years ago, I never made these lists, however once I began to experience rather poignant feelings of negativity towards the place where I now live, I wrote down all the reasons why I moved my family to a foreign land on the other side of the planet. This list contained all the aspects of the US I would change if I could, all the things I did not miss, all the problems I experienced in work and in society at-large. After making this list and consigning it to memory, whenever I would jump to criticize an aspect of my new home, this list would be right there for comparison. And yes, at times I would decide that the US is quite more adept at certain things than this other society (building logical roadways and freeways is one that springs to mind), but all the other reasons for leaving the US were right there to temper my criticism. At other times, I would find my new home to be quite original and more thoughtful in their planning (widespread and inexpensive WiFi, for example). So now that we have cleared away our fear and minimized our culture shock, that just leaves one important question to answer: Why? JFK once said, “Change is the law of life. And those who look only to the past or present are certain to miss the future.” If we are to adapt to this new and ever-changing world, if we are to become positive contributors and participants rather than mere spectators or detractors, then we must first become one with the changes in the world, or become the change we wish to see in the world. Moving either temporarily or permanently to a new country might seem rather drastic, however that is our archaic conventionalities speaking. The idea that it is somehow pleasantly quaint to be born, live, and die in the same town is one now meant only for historical movies. Again, isolationism is a fetid swamp, a place where the poisons of xenophobia and nationalism are born, and nothing productive can come from such a swamp. Our economic futures lie in the world market, and we must know the intricacies of this market in order to survive in it. There are obvious professions that can benefit from international experience, such as teaching, politics, marketing, manufacturing, banking, etc. However, there is also a benefit to be gleaned by people in positions where ties to the international community are not so easily visible. Varied experience is what drives innovation, and innovation is what is needed… or rather required in all fields. And so it is time now to expand your borders and to expand your mind. Otherwise, you will be left behind by a worldwide society that mirrors the universe itself, by rapidly expanding and increasing in speed at every moment. Cast your fears and doubts aside, and search until you find that place that is in fact searching for you. DS Peters earned his MFA from Sarah Lawrence College in Bronxville, NY, and obtained his BA from UW-Milwaukee. He writes speculative fiction, earthbound fiction, poetry, and odd bits of non-fiction. He is a traveler, and currently resides in South Korea where he works as a professor and observes human behavior.You can find him on his website DS Peters. Instructors should understand how to motivate students in a web-enhanced class. Research shows that the most successful learners use a wider variety of learning strategies and use them more often than less successful ones (Oxford, 1990). Knowing this, we should try to maximize learning opportunities for our students by having them use in-class learning strategies during class time and technology enhanced ones at home. Integrating learning managements systems (LMS) like Moodle and Schoology.com are terrific for getting students motivated to use a wide array of learning strategies both inside and outside the classroom. One thing an LMS allows is comparing learning accomplishments and grades between classmates. This is possible through online writing assignments (i.e. forums, wikis, and blogs) viewable among class members or private groups. Learning management systems like Moodle allow instructors to privately show student scores and rankings for individual assignments. Students might feel stressed because others can see their grade, but stress at much more manageable levels since the grade is for a single assignment opposed, for example, to an unwarrantedly heavy weighted item (i.e. end of semester presentation worth 10% or more of their final grade). I suggest grade comparison composing of multiple assignments that carry minimal weight on the final grade could be beneficial for motivating students who fear unwarrantedly (and possibly unethically) heavy weighted grade items. I feel this is a form of affective strategy training. Training which is accomplished through administering multiple assignments, with manageable increments of weight deviation, opposed to debatably unethically heavy weighted tasks. This allows students opportunities to face their fear of using English in public or online environments without the burden of bombing their course if, by chance, they fail such heavily weighted assignments (e.g. 10% plus tasks like end-of-course presentations). I have had success with grade comparison when administering assignments through forums, wikis, and blogs. These platforms allow students to compare their work in groups or with the entire class. The instructor sets up the online assignment in an LMS, the students do the writing, and the instructor rates it. In addition to these steps, the LMS also allows me to correct crucial grammar mistake so students can give clear presentations in class. Presenting this material in class is another opportunity for students to compare their work with one another which hopefully motivates them to excel. Instructors can use platforms like forums to quickly review and edit writing assignments. Forums can be graded quicker than individual essays because a group of students are working on the same forum thread. This means the instructor doesn’t need to scroll between different pages for each student, but review and edit a group of students at the same time. I find this to be great for grading, providing corrective feedback, and correcting grammar mistakes. In addition, forum assignments familiarize the student with using forums for purely social online discussions in a second language. My personal hope is eventually students reply back and forth with one another in English without grade incentive to do so, perhaps on a social network site like Face book or Twitter. In addition to forums, wikis can be used to deliver writing assignments. Wikis allow the instructor to correct the students’ writing through the first draft up until the due date. The instructor can directly correct grammar mistakes and provide comments. The original writing contributions from the student are stored in the wiki database so writing quality and grammatical errors can accurately be assessed and tracked after corrections have been made. Students are able able to review their mistakes by comparing the wiki page history. Like forums, wikis can also be used as platforms for writing assignments. Traditionally wikis have a group of people working on one project, but this is not the only way to use them. Instructors may also have a group of students independently work on their own writing within the same wiki page. As with forums, this promotes motivation through comparison and competition. Grading is made faster because the instructor doesn’t have to navigate between different pages to see each assignment. Blogs are a third option instructors can use for giving writing assignments which can be compared between students. Blogs are assigned to each student and span the entire semester. Blogs are structured and edited by the student. The instructor can give corrective feedback, and classmates can leave comments. Unlike forums and wikis, blogs are not group activities. Students completing their writing tasks through blogs can have access to all class blogs which hopefully promotes motivation through comparison. Forums, wikis, and blogs differ in presentation. Blogs are web-pages that the student contributes to during the entire course. This means that each writing task will be stored in his/her blog in chronological order throughout the course. Forums and wikis on the other hand are group activities assigned to specific writing tasks. Therefore, writing assignments are delivered through a series of forums, a series of wikis, or just one blog. Each of these platforms can be edited by the teacher, commented on by others, and easily copied into learning portfolios which is why I find them all ideal learning tools. From personal experience I find students are overwhelmed if I use multiple platforms to deliver writing assignments during the same semester. Instead, I recommend using one platform for the majority of writing assignments; preferably whichever one suits your teaching style. Each of the three platforms described above can contribute to learning portfolios. Barret (2007) defines learning portfolios as the cumulative collection of work learners have done from the start of the semester to the end. They can transform and enhance curriculum. They also have a potential to display to learners and educators the interactions between their learning and assessment. Students are given a continual repository for their academic achievements which they can store and take with them into the workforce. Portfolios are something tangible students can be proud of, not just a letter grade or number. Teachers help students become self-regulated learners through developing and managing portfolios. Students reflect on past writing achievements and witness how their language proficiency has grown. The assessment of portfolios is a continuous act which does not evaluate students with a test but rather a constructivist approach to project completion (Johnson, 1996). Students set goals for their learning and then begin to monitor, regulate, and control their cognition, motivation, and behavior as guided by their objectives. Highly self-regulated learners approach the learning tasks in a mindful and confident manner and develop strategies to accomplish objectives (Alexioua & Fotini, 2010). In addition to motivation through writing assignments, I use my LMS to award students digital badges for meeting assignment criteria or displaying role model behavior. Teachers can use digital badges for anything as trivial as electronic stickers to something as complex as a course certificate of completion. Digital badges can also add an element of entertainment to the classroom. Entertainment in education is often about smiling and having a good time with students as well as providing opportunities for them to compete together in activities. Teachers can award badges for completing class activities or showing exceptional communication skills. Giving students a symbol of their achievement, however big or small, provides a source of pride and motivation. Flipping classes is a concept growing in popularity and made possible with learning managements systems. A flipped class might refer to a teacher who provides take-home video lectures and spends class time doing other activities like homework-style assignments or student presentations. Through LMS delivered writing assignments, students get started on learning objectives in the classroom and complete their assignment at home. For example, students begin a first draft in class and finish it at home through a forum, wiki, blog or essay. Online instructor feedback allows instructors to spend class time doing activities like student presentations since writing assignments can be guided to fruition through the LMS. This is only one example of how an LMS can flip a language learning classroom. Language acquisition is a long term goal which doesn’t have to be accomplished in class alone. The time teachers spend with their students in oversized classrooms falls pitifully short of meeting the requirements of mastering English. As teachers, we should provide more opportunities for students to learn outside the classroom, and we must get them motivated to do so. If done correctly, student-centered curriculum design using an LMS motivates and provides extra opportunity to study. Sure, both students and teachers will feel stressed at first when learning how to navigate LMS assisted assignments, but hardly an unreasonable amount and arguably much needed. Alexiou, A., and Fotini, P. (2010). Enhancing self-regulated learning skills through the implementation of an e-portfolio tool. Procedia Social and Behavioral Sciences, 2(2), 3048-3054. Anderson, T. and Miyazoe, T. (2010). 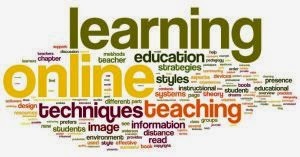 Learning outcomes and students’ perceptions of online writing: Simultaneous implementation of a forum, blog and wiki in an EFL blended learning setting. System, 38(3), 185-199. Johnson, K. (1996). The Role of Theory in L2 Teacher Education. Tesol Quarterly, 30(4), 765-771. Oxford, R. (1990). Language Learning Strategies: What Every Teacher Should. New York. Boston; Heinle and Heinle.